Gold earrings can complete any look! You will therefore find them in virtually any woman’s jewellery box. Irrespective of her taste, style or age. Are you looking for gold earrings for your own collection? 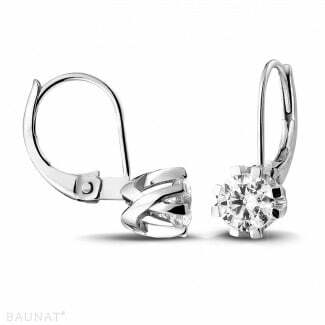 Or would you like to give a beautiful pair of earrings to a special lady? You can find gold earrings to everyone’s taste right here. Which gold earrings would suit you best? Gold earrings are available in various different colours. 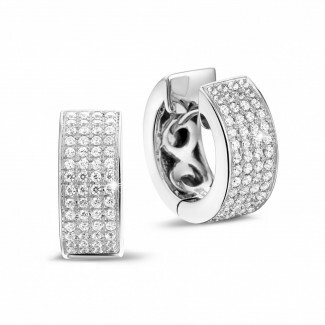 Gold earrings in white gold are timeless and will really suit everyone and any look. Yellow gold earrings are incredibly beautiful on ladies with a warm skin tone. Earrings made from red gold are very much in demand again with red-haired ladies. There is also plenty of choice where the design is concerned. You can opt for fine bar earrings, classic studs, or you can allow yourself to be seduced by the extraordinary designs featured in the designer collections. Your personal taste and style will determine which gold earrings will suit you best. What quality do BAUNAT’s gold earrings have? We only use 18 carat gold for our gold earrings. This means your gold earrings always contain 75% pure gold, irrespective of the colour of the gold. This is the highest possible standard and you will find the ‘Au750’ hallmark in every piece of jewellery, confirming this fact. You are therefore always guaranteed absolute top quality gold earrings. 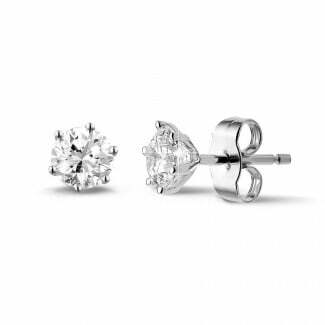 In addition, the diamonds processed in your gold earrings are of the highest possible quality too. What is the delivery time for your gold earrings? 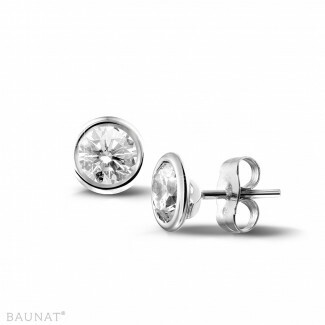 Have you found the perfect pair of earrings in our extensive collection? Then you undoubtedly can’t wait to try them on. The delivery will take an average of 1 to 8 days. And even though you are entitled to a 30 day cooling off period, you would perhaps prefer to see and compare your gold earrings beforehand. In that case, be sure to make an appointment with one of our showrooms or contact BAUNAT’s experts.